Wow – I’ve owned these from 2009, and putting in my first review of these (written) for the first time. I feel like I’ve cheated them out by not putting a review. I don’t even know where to start…and how to be really negative about these. I shall try my best! These are visually brilliant. 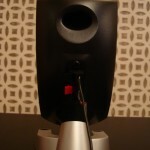 With the “face-plates” which can be interchanged on the speakers too. This allows someone to have them silver or black looking! 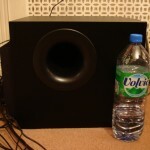 The bass is huge – with a 10″ sub, its one of the biggest subs I’ve ever seen! The remote is a nice touch to quality too. Its light and has great battery life. Its very useful for adjusting your volume when you aren’t in front of it. Another thing I love about them, is that you have optical and 3.5mm and coaxial connections – this is very useful, especially for gamers like myself. 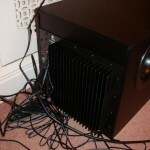 I have the Xbox connected via optical, and the PC connected directly via the 3.5mm wires. One thing that really is a con about this sound system is the “accessories” – by that I mean the stands. there are no official, no un-official stands to buy for this sound system. Meaning they have to be mounted on the wall, or you have to custom-build one for yourself (potentially destroying the warranty) -I feel that if Logitech had made an official stand for these, they would have been much better off, both financially and features wise. Now the sound quality FOR THE PRICE is sublime. 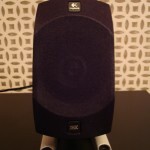 it’s very hard to find a PC sound system at this price. I wouldn’t really truly consider these as a HOME CINEMA system, although they are very much capable and powerful to be one. I like to see them as a PC sound system as that’s what they are designed to be. more so the speakers in my opinion are wide, long or tall enough to act as them. 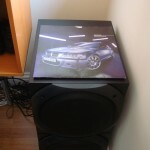 The bass is unbelievably strong. Now you understand by what I mean by unbelievable/phenomenal bass! 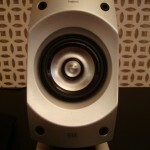 So the bass is powerful and capable, what about the other frequencies, the mids, soundstage so to speak, and the highs? 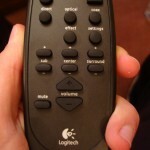 Well they are very clear – a HUGE step-up to the Logitech X-540. The highs are perfect, although the mids are a LITTLE, I mean a very slightly bit lacking. The soundstage….now I can’t really compare this to headphones or earphones, but one thing I can mention, is the positioning of the speakers. If they are not placed in the right position (ie. 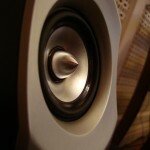 towards your ear) you will have a sense of “something is missing here” and indeed, they are more 1 directional speakers. You have to place them in the right place, in the right angle. 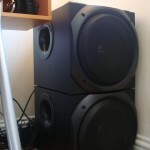 Now for a PC sound system they are PERFECT, however as a HOME CINEMA system, they do lack that length. 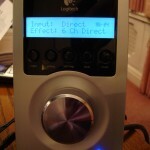 I guess Logitech wanted it to be a PC sound system, and thus didn’t want to provide some 20m wires. 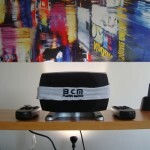 I put it in the cons, only because some buy it as a home cinema system. Now I’ve had these for over 2years. What else do you want me to say – they are BUILT TO LAST. I can’t complain about any of the build quality of the system. I did however have a initial “burning wood smell” coming from the sub, back when i bought them in 2000 – contacted Logitech, and they were so fast and brilliant to deal with, that I would always recommend buying from them at all times! I hope this helps! And I know this system has been since replaced, however thought to give it a review anyway, as its such a brilliant piece of kit! 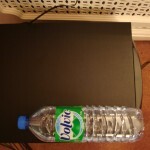 This entry was posted in Audio Reviews and tagged Logitech, PC, Review, Speakers, Z-5500 on March 31, 2012 by TotallydubbedHD.